We are deeply saddened to announce that Chuck Berry - beloved husband, father, grandfather and great-grandfather - passed away at his home today at the age of 90. Though his health had deteriorated recently, he spent his last days at home surrounded by the love of his family and friends. The Berry family asks that you respect their privacy during this difficult time. ST. LOUIS, MO - OCTOBER 18, 2016 -- Chuck Berry, the artist who codified the sound, rhythm and language of rock and roll, celebrated his 90 th birthday today with the surprise announcement that he will release a new album – titled simply ‘CHUCK’ - in 2017 on Dualtone Records (an Entertainment One Company). Comprised primarily of new, original songs written, recorded and produced by the founding rock and roll legend, ‘CHUCK’ is Berry’s first new album in thirty-eight years. It was recorded in various studios around St. Louis and features Berry’s longtime hometown backing group - including his children Charles Berry Jr. (guitar) and Ingrid Berry (harmonica), plus Jimmy Marsala (Berry’s bassist of forty years), Robert Lohr (piano), and Keith Robinson (drums) - which has supported him for over two decades on over two hundred residency shows at the famed Blueberry Hill club. 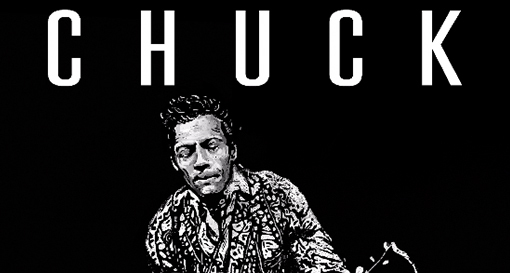 More details about ‘CHUCK’ and other Berry-related events will be revealed in the coming weeks. It would be impossible to overstate Chuck Berry’s influence on popular culture around the globe (and beyond it). According to Rolling Stone magazine he "laid the groundwork for not only a rock and roll sound but a rock and roll stance,” and many of his compositions - “Maybellene,” “Roll Over Beethoven,” “Rock and Roll Music” and others – have become the genre’s canonical texts. Another, “Johnny B. Goode,” is the only rock and roll song included on the Voyager Golden Record, launched into space in 1977, and intended to represent life and culture on Earth to extraterrestrial beings. Berry received a Grammy Lifetime Achievement Award in 1984, and was in the inaugural class of Rock and Roll Hall of Fame inductees in 1986. He was awarded a Kennedy Center Honor in 2000, placed #5 on Rolling Stone’s list of the 100 Greatest Artists of All-Time in 2010, and was given the first-ever PEN Award for literary excellence in lyric writing in 2012, and Sweden’s Polar Music Prize in 2014. More recently, he was the subject of a widely discussed essay by author Chuck Klosterman predicting that hundreds of years hence, Berry would be singularly synonymous with rock and roll itself, and last month his classic 1973 red Cadillac Eldorado went on display as part of the permanent collection at the Smithsonian’s new National Museum of African American Culture and History. The Rock n Roll train keeps on ROLLING! 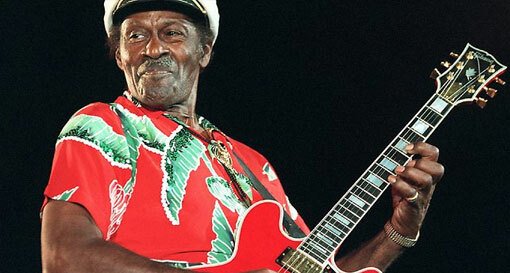 Chuck Berry will perform his 200th show at Blueberry Hill! Chuck Berry to perform the 199 show at Blueberry Hill!